I’ve done it. I’ve jumped into the deep-end. And I don’t think I’m ever coming back. 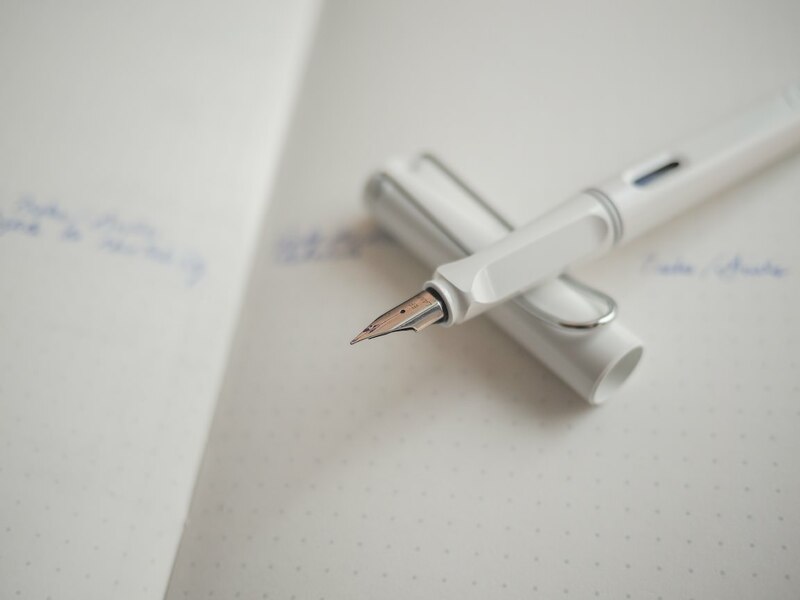 The fountain pen world seemed like a niche, pinpointed and defined arena to an outsider like me. I thought everyone was hoarding fountain pens as some sort of pretentious hobby. I was so embarrassingly wrong. So wrong, in fact, that I don’t care to write with a ballpoint ever again. 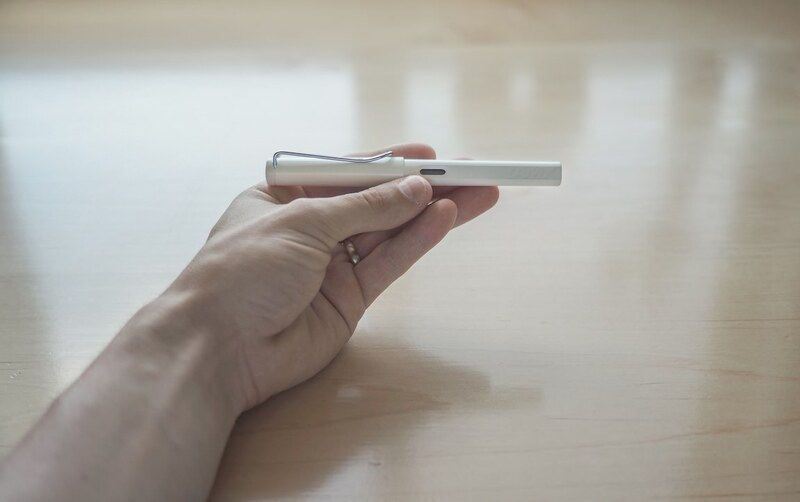 After the great opportunity to join Brad and Myke on the Pen Addict Podcast, Pen Chalet reached out to me and asked if I would like to review a pen. I couldn’t say no to the world’s quintessential beginner fountain pen. 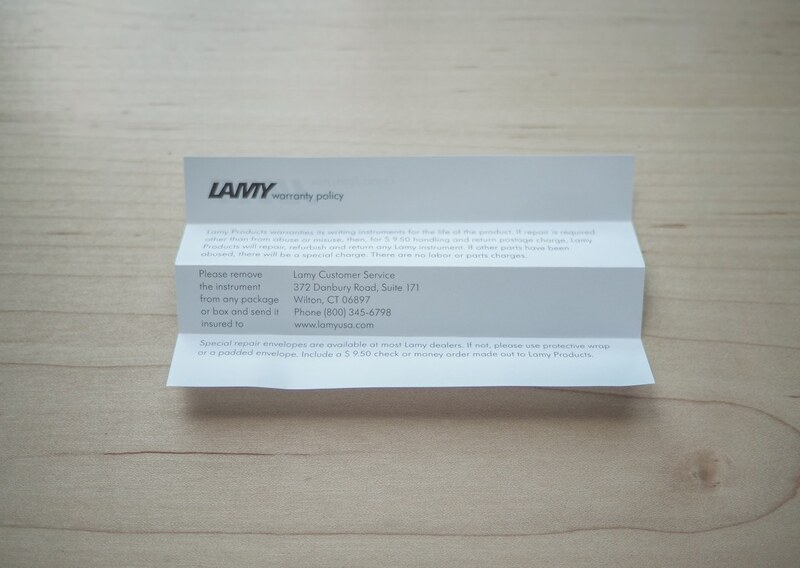 However, there’s not a whole lot about the Lamy Safari that hasn’t already been written. If I could choose one word to describe my Safari experience, it would be “glee”. 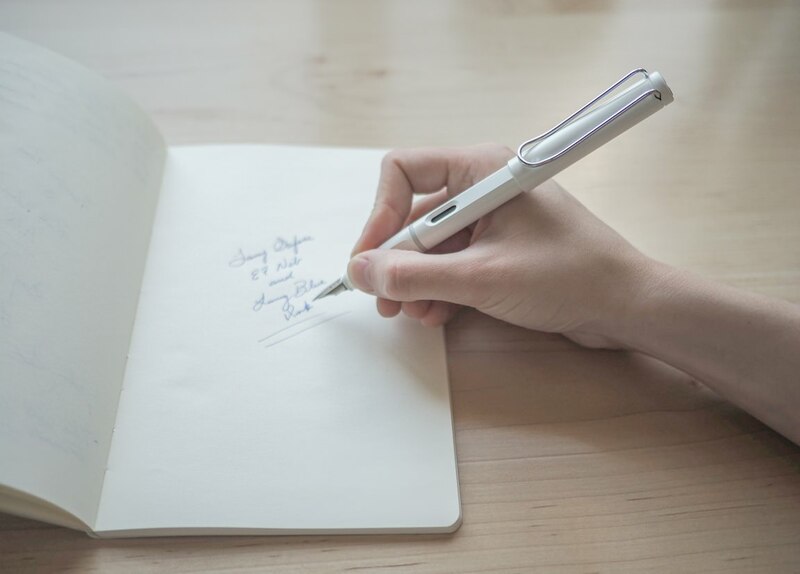 This pen makes me want to write. It makes me want to open my notebook and pour my thoughts into written words. Too bad the ink refill can’t keep up with me. 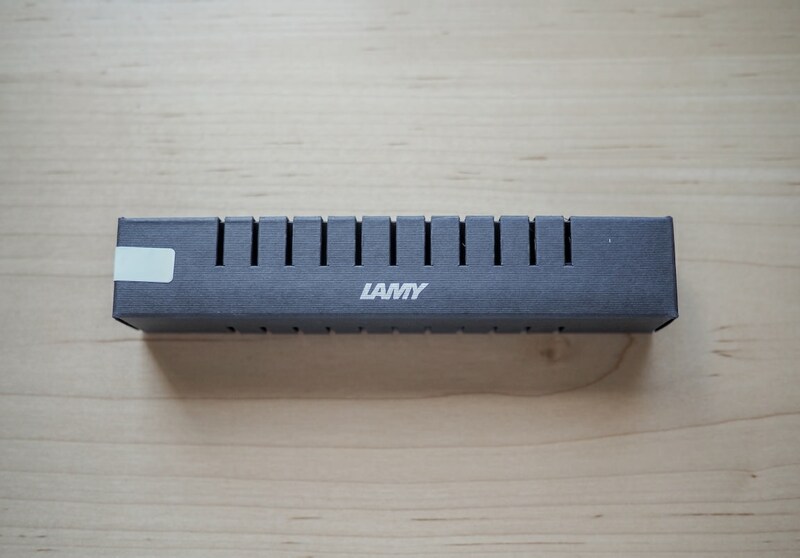 The Lamy Safari comes in a surprisingly sturdy (for its price) black cardboard box. The box has notches cut out to give a quick preview of what’s inside. This simple packaging sets the Safari off on the right design foot. 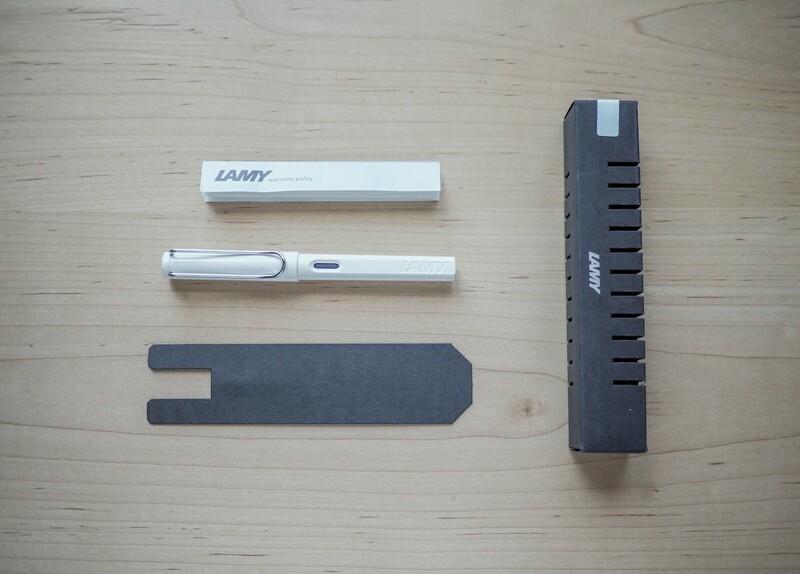 Like the Lamy Safari’s modern and relatively minimal build, the contents of the Safari box are sparse and appropriately sized. 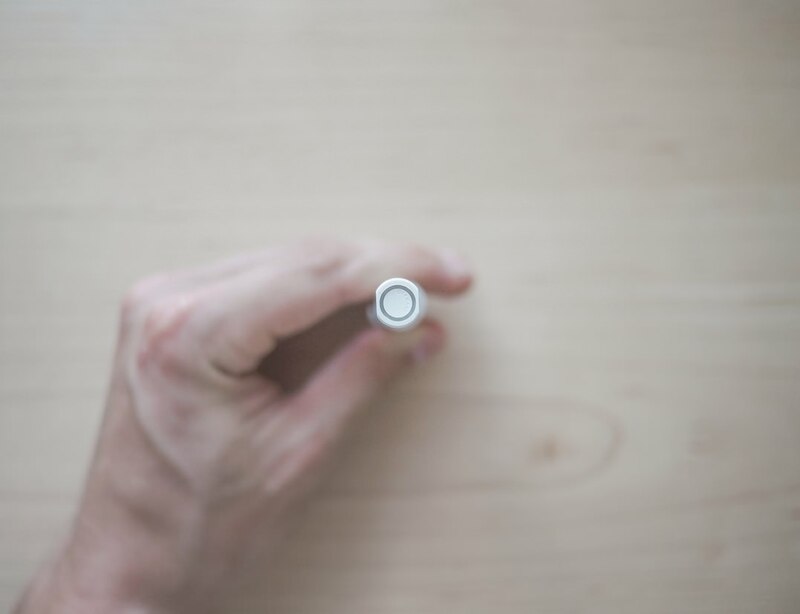 The pen is where true design comes to play. 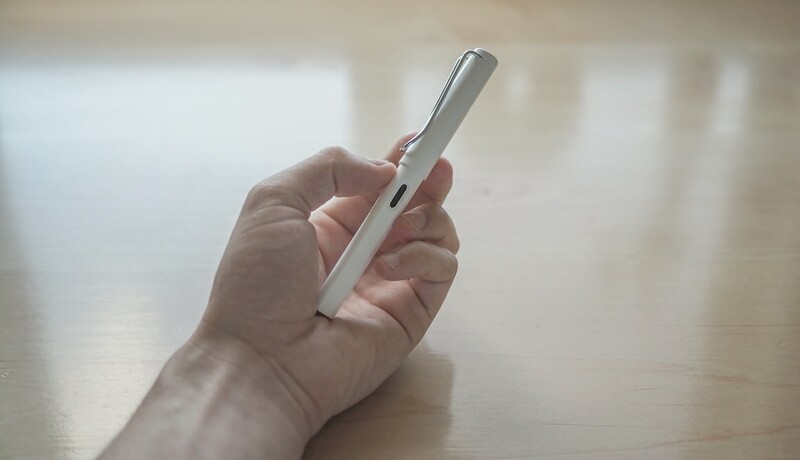 Lamy categorizes the Safari under “Young Writing” on its product page, but the Safari is far more mature than Lamy would have you think. I received a white model and I couldn’t be more pleased. The seamless white plastic shines elegantly. The Safari breaks down into a few different parts. 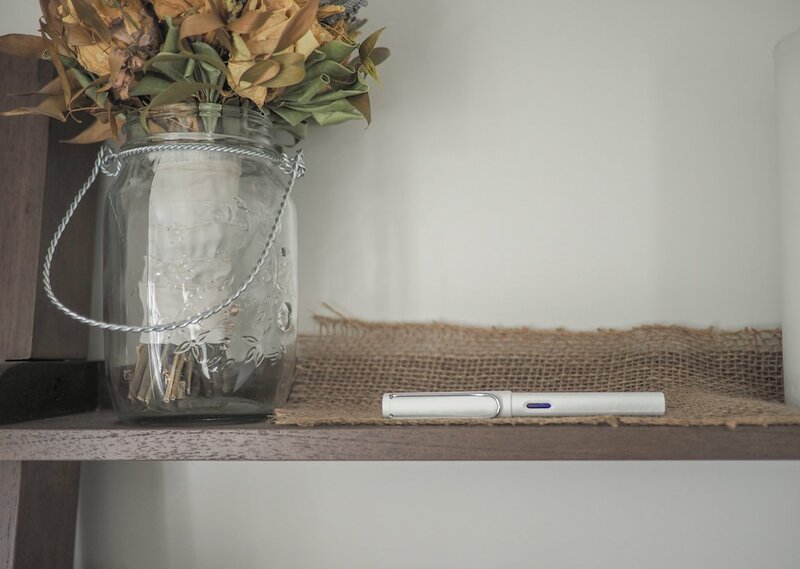 The plastic parts, albeit lightweight, screw and clip into each other nicely, providing an element of high-quality in an otherwise inexpensive pen. The top of the cap and bottom of the pen can’t go unnoticed either. You can see from the bottom of the pen how the body of the Safari is one piece of plastic. 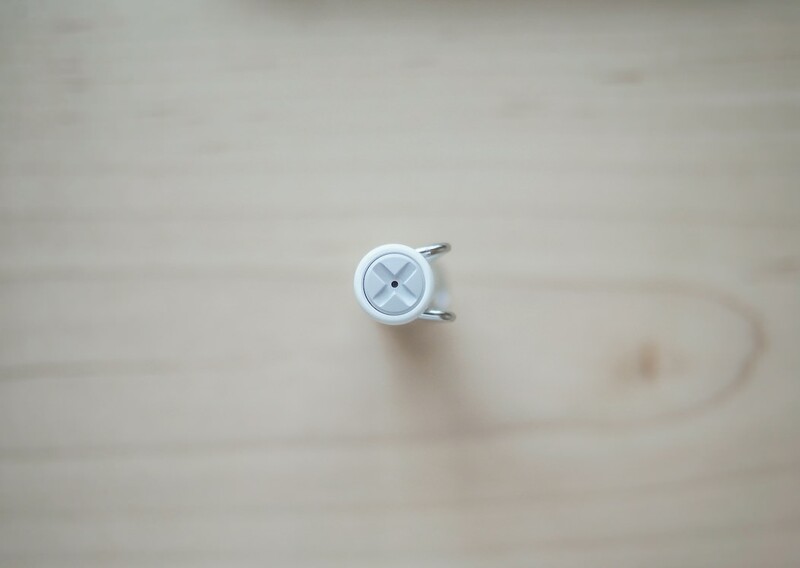 “X” marks the spot on the top of the cap — this makes it easy to quickly choose which pen to pull out of my messenger bag first thing in the morning. The Safari’s section has three indentations cut away for proper grip positioning. I love how smooth these indentations are and they make extended writing super comfortable. Some have complained about the positioning of these grooves, but I find them perfect. They promote a healthy grip and look great in the process. 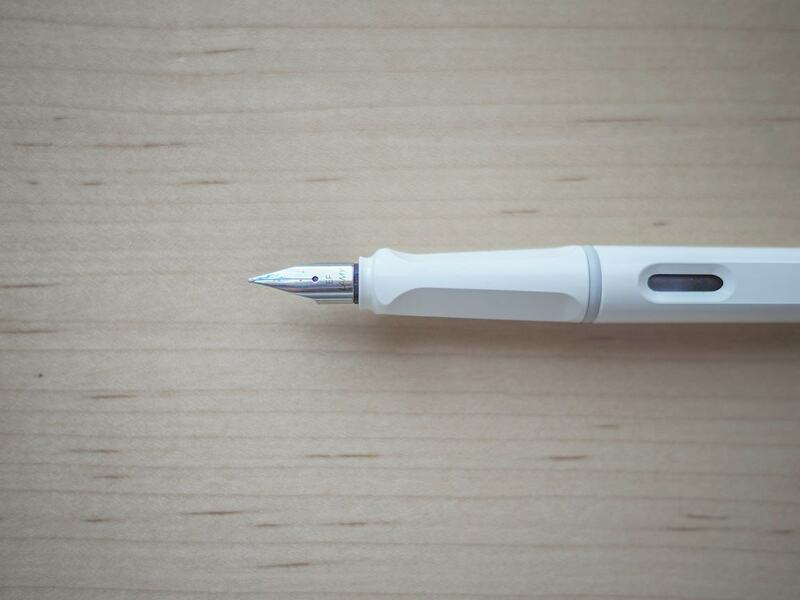 The Safari’s simplistic design extends to the nib. 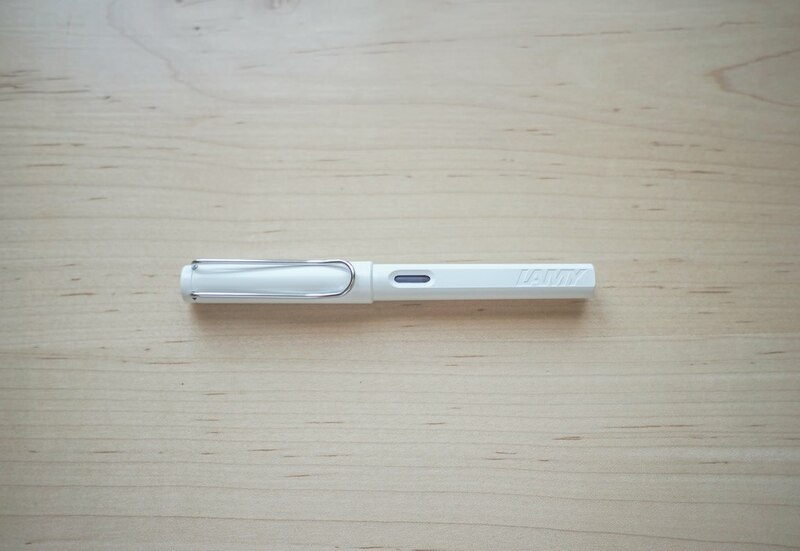 The nib doesn’t have crazy etchings like other pens and I prefer the sleek design. On recommendation of Mr. Brad Dowdy himself, I received an extra fine nib. I’m used to fine ballpoints like the Zebra F-402, so the extra fine nib wasn’t a drastic change for my writing. Writing with a fountain pen is an entirely different experience though. 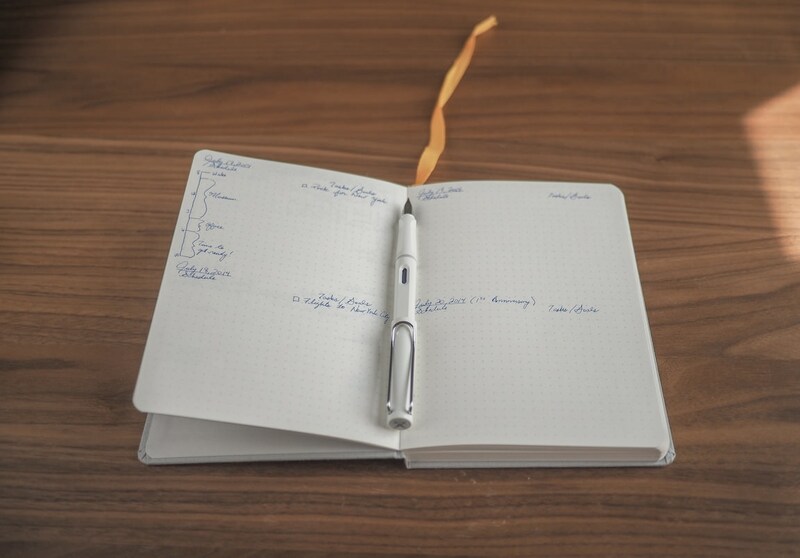 There is no pushing or pressing required to get a nice ink flow to meet the page. 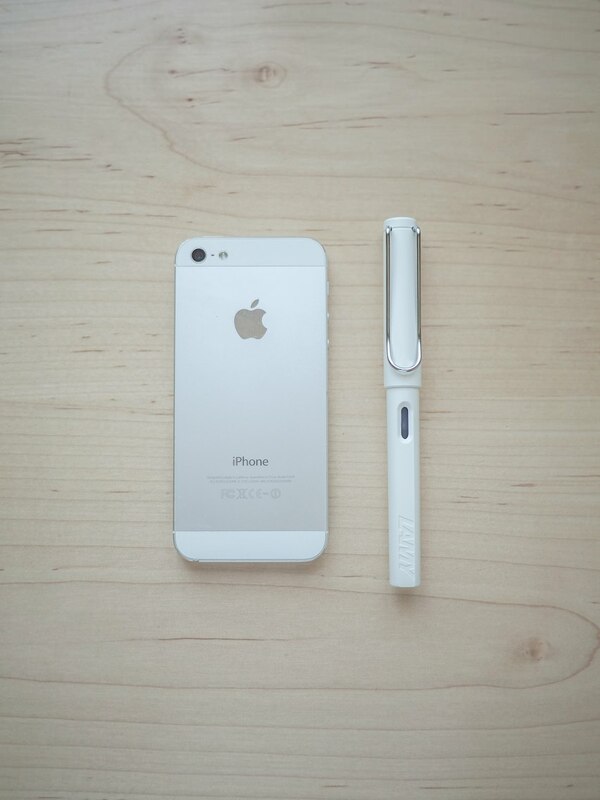 I experimented with the Safari more than any other pen prior and I enjoy the “purist” form of writing. The scratching sound of nib meeting paper has become one of my favourite early morning sounds and I find a small turn of the nib to the right perfects the most pure form of writing feedback. If the Safari’s job was to inspire me to write more, it has gone above and beyond its premise. My Lamy Safari came with a blue Lamy disposable refill. These refills are pretty darn cheap and can be purchased for a couple bucks on Amazon. You can also purchase a converter for a cheap price to use other inks. I haven’t had the opportunity yet to try a special ink, but you can guarantee one is on the way. I love the tone of Lamy’s blue ink. 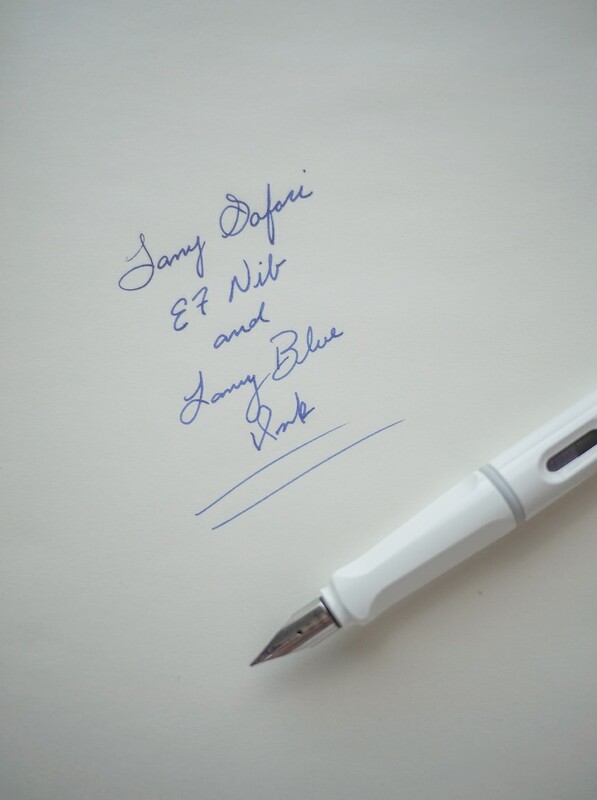 Many people swear by black and blue-black inks, but the Lamy’s blue really spruces up my work. I’ll purchase a blue-black to make a fair judgement, but for now, I’m very impressed. 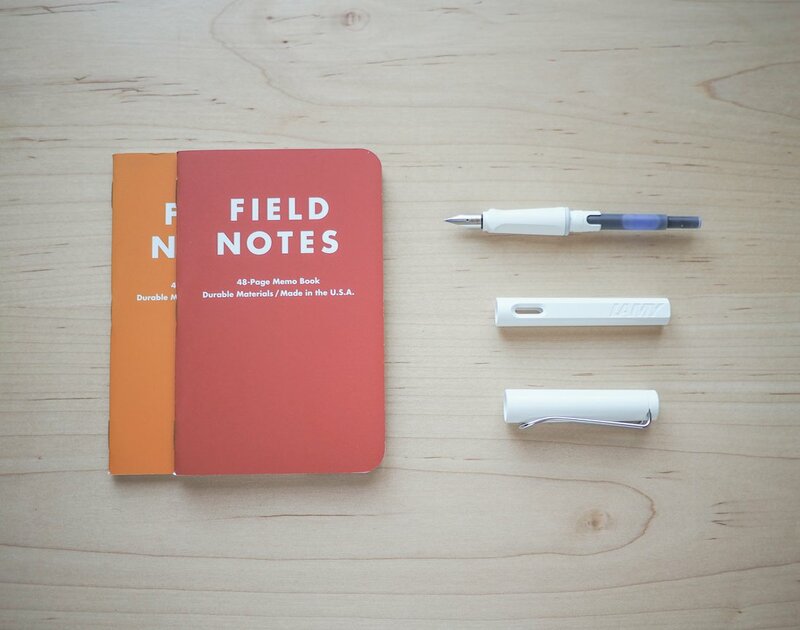 You’ll undoubtedly need to purchase refills, because the Safari drinks ink — at least in relation to ballpoints. I have used half my refill in the first week and, as a result, I have limited the Safari’s use to my new early morning planning routine. Although I’ve read that the Safari is a dry writer, I was overwhelmed by the heavy ink flow. My exclusive use of ballpoint pens conditioned me to expect immediate drying and no show-throw on the thinnest of papers. 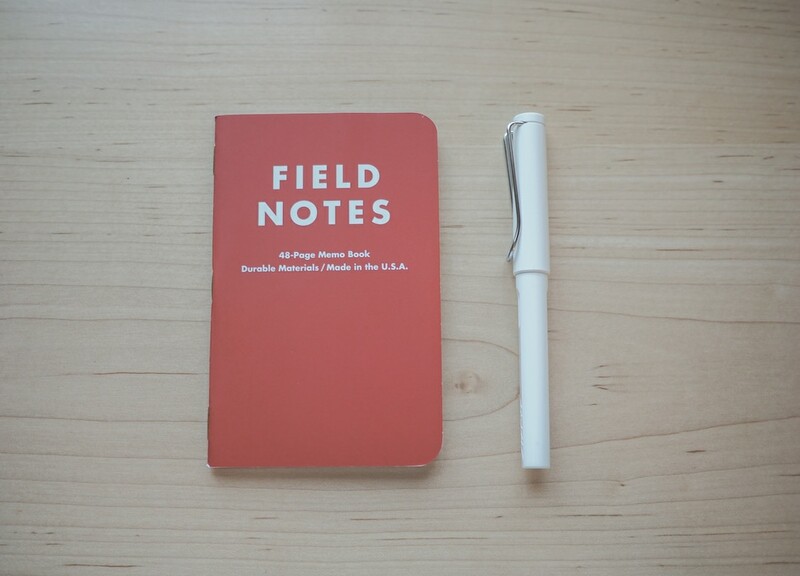 My beloved Field Notes books hold up with the heavy ink flow, but I’ve decided to stick with ballpoints for my Field Notes and dedicate the Safari to the heavier Baron Fig paper. Obviously this is a product of my fountain pen naiveté and not reflective of the Safari itself. I finally understand why there is an entire fountain pen world. The writing experience is pure and true. The flow and colour of the ink inspires creativity and freedom. 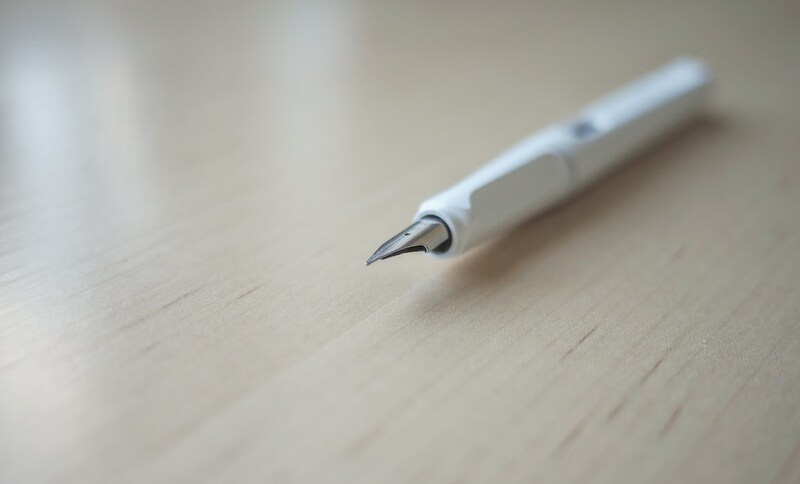 And that beautiful scratching of nib on paper is music to my ears. The Lamy Safari will forever be responsible for introducing me (and my pocketbook) to this fountain pen world. The Safari’s minimal design, sporty aesthetic and seamless build make up for its relative ink thirst. You can guarantee this will be my go-to pen at my desk when those extra refills arrive. 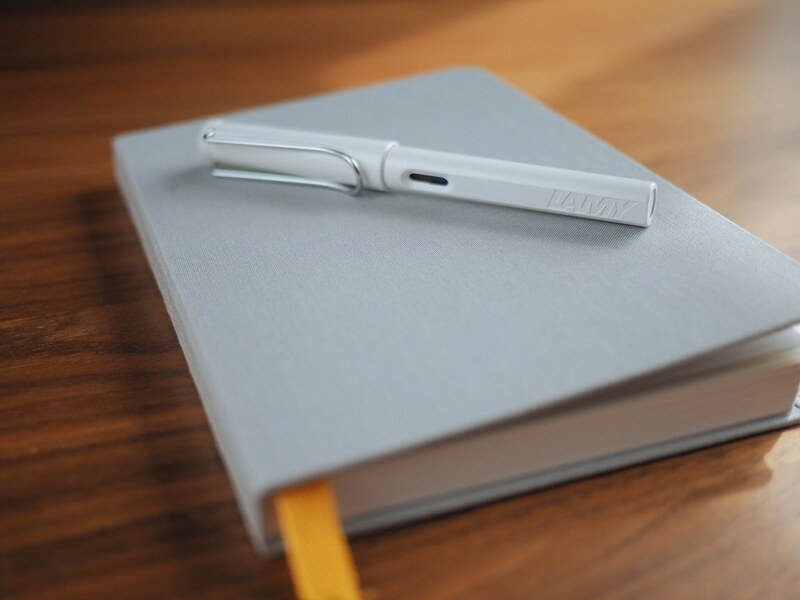 If, like me, you’re thinking about diving into the deep-end, pick up a Lamy Safari over at Pen Chalet and don’t look back. This pen was sent to me by Pen Chalet for purposes of review.